Category: Kutch Collection. Tags: cushion cover, India, Indian embroidery, New, vintage, hand embroidered. 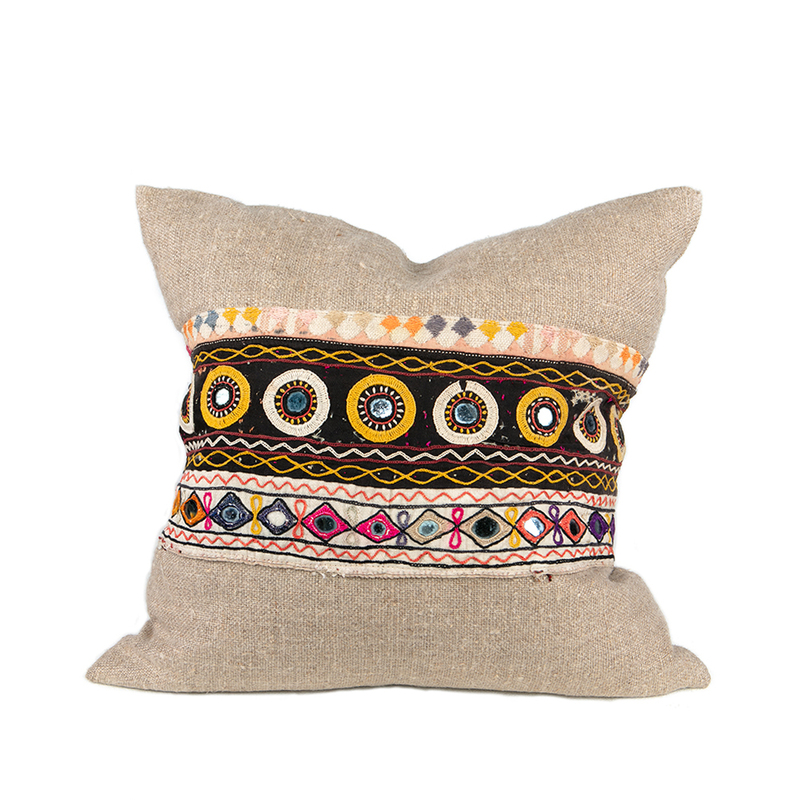 One-of-a-kind cushion cover featuring bold vintage Rabari embroidery discovered on our travels and rustic French linen. The eye-catching Indian embroidery in a rich brown, apricot, lilac, mustard, cream and pink features two rows of shisha or abla, mirror-work embroidery. It was probably once part of a ceremonial bag. Scroll over the images to see the embroidery in more detail. 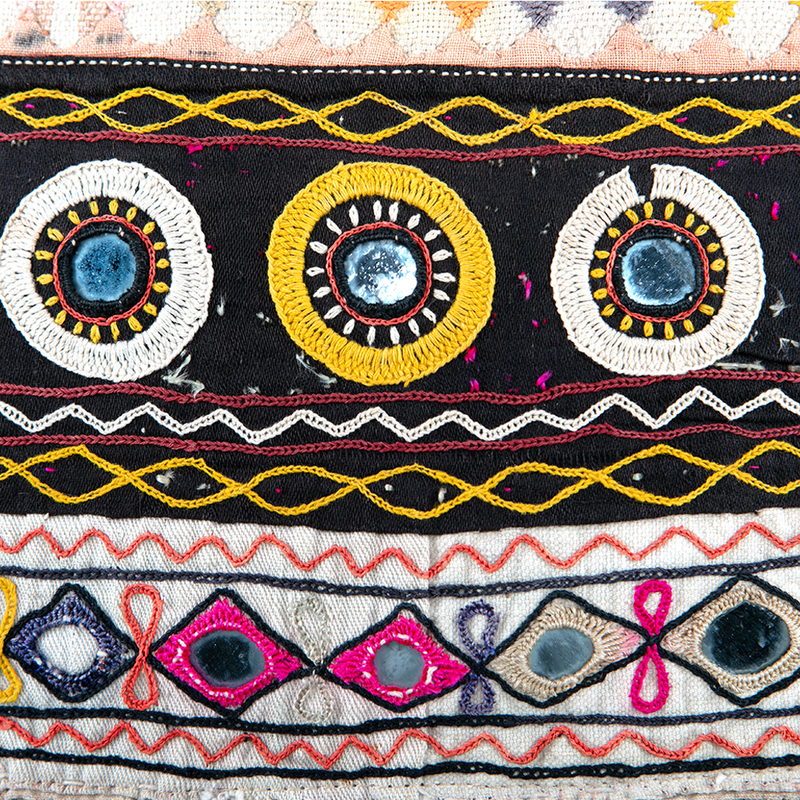 This one of a kind piece looks good on its own or mixed with other Rabari embroidery in the Kutch collection. Please note that this cushion cover features vintage hand embroidered fabric so there may be patches or imperfections but we think this adds to its charm. It also contains tiny pieces of mirrored glass sewn in to the design.